Can people with a disability use Shebah? How it changed Kathryn's life. Kathryn and her guide dog Zeke were rejected by cabs and Ubers. Then Shebah came along. On a cold Melbourne night, Kathryn and her guide dog Zeke waited over three hours in a dark car park for a taxi that never came. She lost track of the number of times she’d made out the shape of a yellow car pulling into the driveway, waiting only 30 seconds before driving off. Kathryn lives with albinism. She has roughly five percent of vision, which decreases to zero in direct sunlight and at night. So getting from A to B, even with Zeke, is stressful. 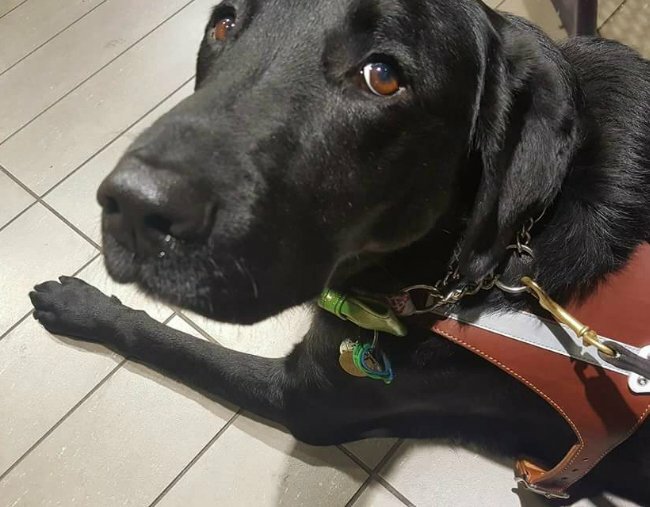 Over the years, Kathryn and Zeke have endured abuse from taxi drivers for wanting to bring Zeke in their car, but as anyone who has or knows someone with a vision impairment, leaving her guide dog behind wasn’t an option. Uber unfortunately wasn’t much better. “The advice I got from Uber was, ‘Call or send the driver a text and let them know about the dog’, and I was doing that, and within a minute of me informing the driver [about the dog], they’d hang up and cancel,” she told Mamamia. After so many negative experiences, Kathryn shared a post about ‘A Day in the Life of a Guide Dog’, detailing her taxi refusals and troubles getting a ride. Kathryn and her Guide Dog, Zeke are a package deal. Image: Supplied. When one of the commenters suggested she try Shebah, the women-only ride sharing app, she had low expectations. "I was very sceptical at the start," Kathryn said. "I thought &apos;This is just going to be the same - maybe some drivers will be great, maybe some won&apos;t, but I&apos;m not getting my hopes up&apos;. I was very, very, very pleasantly surprised." She posted a ride request on Shebah&apos;s Facebook page (this was before the app was fully functional) detailing her condition, her guide dog Zeke and where she needed to go. Not long after, she got a reply from Samantha. "Samantha said she&apos;d love to take me, and that she was very excited about having her first guide dog in the car. That was really nice. Too nice...I thought &apos;It can&apos;t go this well?&apos;," Kathryn recalled. "But the next day when she picked me up, she was not only waiting to help me however she could - if I needed help getting into the car or working the app - but she&apos;d set up her car with a blanket for him, and completely ready to help him get in, asking what she could do to make both of us more comfortable. The relief was...indescribable." Zeke enjoying his Shebah ride. Image: Supplied. It was a completely different experience for Kathryn, who&apos;d always had to stress about how she was going to get where she needed to go, and if she would make her appointments on time. She finally felt a sense of confidence when travelling around, and a sense of normalcy even just chatting in the car with Sam. "Taxis are always awkward. They usually ask to see my eyes, ask &apos;How long have you been blind?&apos; - all the questions you don&apos;t really want to answer when you&apos;re trying to get from A to B," Kathryn said. 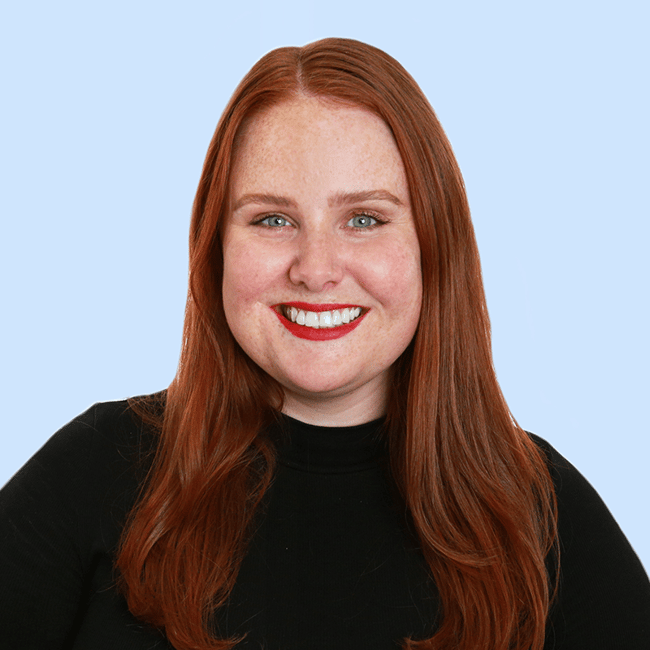 "Sometimes I felt like asking, &apos;What&apos;s your medical history?&apos;"
"And while Uber was somewhat better on that front, it never really came up with Sam. It was just, &apos;How are you doing? Are you having a good day? What are you into? What music do you like?&apos; Whatever, really. "I was just another human being. A lot of the time I feel like just another case number, whereas with Sam, and [my other drivers] Kerry and Kim, they&apos;ll talk with me about what&apos;s going on in life or if I&apos;ve seen any good shows lately. Just the normal things. They give me confidence I would not have had previously because I&apos;d been feeling so beaten down by the world." The relationships Kathryn has built with her regular Shebah drivers have become a two-way street. It&apos;s not just about them giving her a ride, but their shared friendship. "It very quickly evolved from &apos;Oh I&apos;m a passenger&apos;, to&apos;We&apos;re actually friends&apos;," she added. "It makes going to my doctor and specialist appointments a lot easier because I know I&apos;m going with a friend to something that&apos;s not all that pleasant. It doesn&apos;t feel like I&apos;m booking a ride - it feels like, &apos;Hey, can you give me a ride, I&apos;ll pay for petrol&apos;." Shebah has changed Kathryn and Zeke&apos;s lives for the better. Image: Supplied. Zeke also enjoys his Shebah rides. So much so, he can tell which of Kathryn&apos;s regular drivers has arrived before they&apos;ve even pulled up. "He knows if it&apos;s Kerry or if it&apos;s Sam, or if it&apos;s Kim," she said. "They&apos;ll pull into the driveway and he can&apos;t see the car, but as soon as he hears it, his reaction is different depending on who it is. He gets very excited and happy." "He gets this wiggle about him as he runs to the front door. I&apos;ll have to tell him to back off a bit so I can open the door. As soon as he sees that they&apos;re at the door, he runs off to get his toy to bring it back to show them. But once he&apos;s in [his] harness, it&apos;s work mode." Shebah&apos;s changed Kathryn and Zeke&apos;s lives for the better in so many ways - she now lists Shebah as one of her essential services. "My Shebah drivers go above and beyond what they would be expected to do as drivers. If I needed, both Sam and Kerry would take my hand and guide me," she said. "I know I&apos;d still be getting around without Shebah, but I&apos;d be a lot more anxious and worried. And I wouldn&apos;t have met some wonderful friends." Have you ridden with Shebah before? Tell us your experience below! This content was created with thanks to our brand partner Shebah.